Bruce is a third-generation farmer in Sioux County. 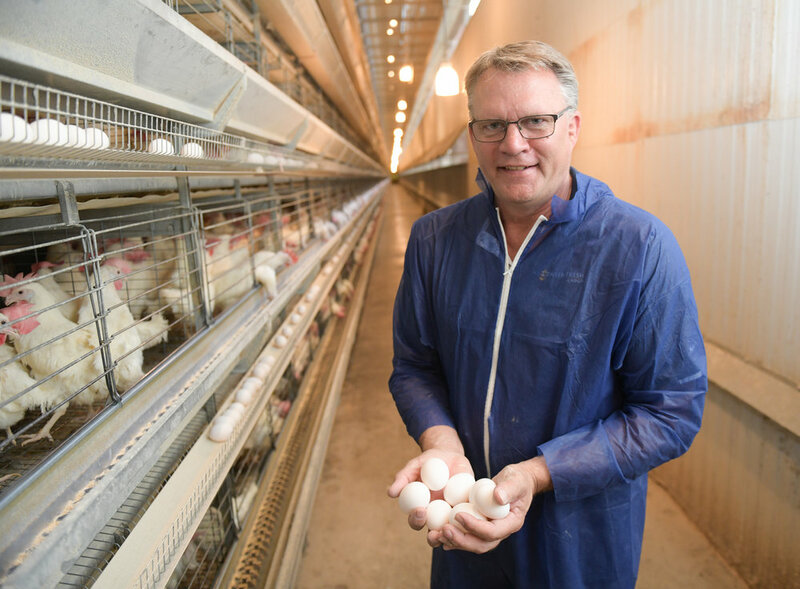 He works alongside other family farmers to operate Center Fresh Eggs, which has 10 million egg laying hens producing around 8 million eggs a day. Bruce is passionate about the role of modern agriculture in feeding people. He has partnered with farmers in Mozambique to establish local egg production and build schools for agriculture education. Egg farmers in the U.S. donate around 12 million eggs a year to food banks and charities. Hens with brown earlobes lay brown-shelled eggs, while hens with white earlobes lay white-shelled eggs. The color of an egg’s shell has no relationship to egg quality, ﬂavor or nutritional value. 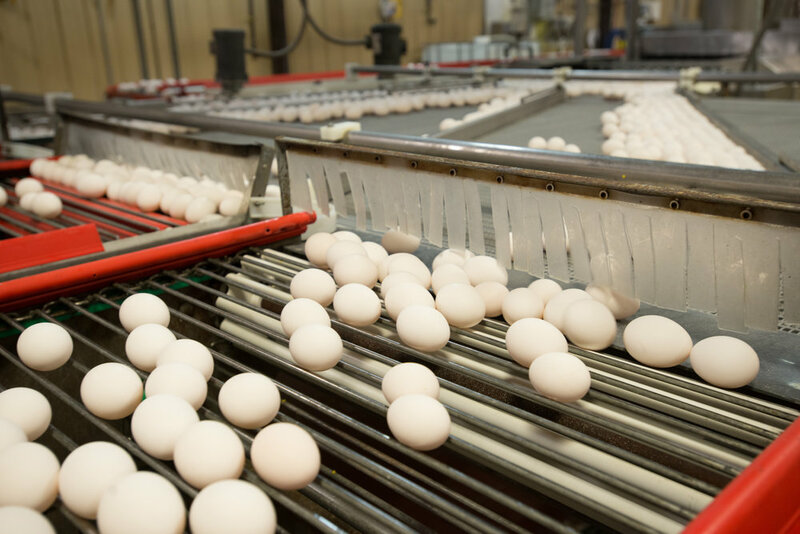 Iowa’s egg farmers produce 16 billion eggs each year, which is enough to feed every American for 47 days!